If your family is anything like mine, you probably have a fridge full of Christmas leftovers right now. Whilst it's not so bad recreating your Christmas meal on boxing day for lunch or dinner, you definitely don't want to be eating the same meal over and over and over again as you try to use up what's in the fridge. That's why I thought I'd share some simple but delicious recipes that will help you use up your Christmas leftovers whilst also creating a delicious meal! This Ham, Cheese and Mushroom Frittata is actually known in the SIL household as a "Boscaiola Frittata" as it was inspired by one of our favourite pasta dishes. With delicious sauteed mushrooms, fresh herbs and garlic, smoky ham and parmesan cheese it's a frittata that is full of flavour and perfect for breakfast, lunch or dinner! Whenever we're invited to a friend's house for lunch, this is often something I bring along as it's quick to whip up and transports easily. I also made a bunch of mini frittatas earlier this year before my iron infusion to freeze for a quick and easy meal as I knew I wouldn't be too keen on cooking when I felt so sick. Best of all? You can change this recipe up to suit whatever you have in the fridge! 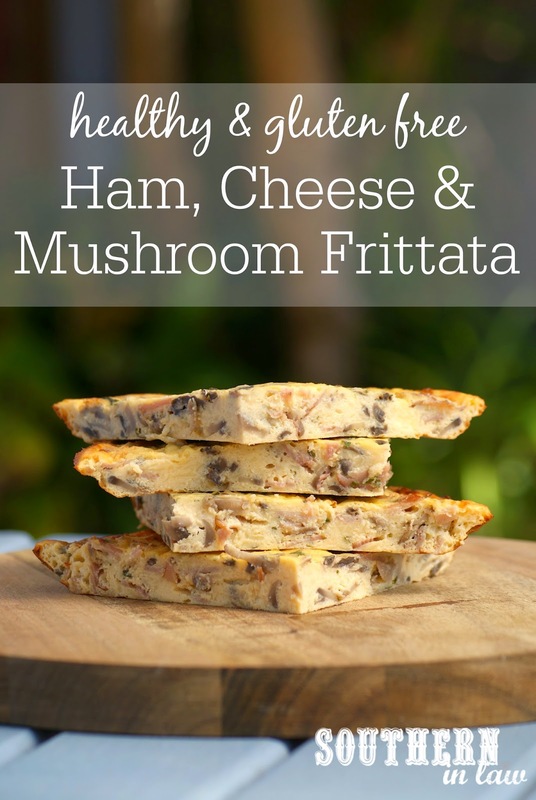 I've made it super easy for you to make it your own by providing you with the frittata base recipe below as well as the filling, however, you can switch up the ham, cheese and mushroom filling with whatever you fancy! We've done everything from roasted pumpkin and feta to a clean-out-the-fridge frittata with roasted capsicum, tomatoes, barbeque chicken and cheese. 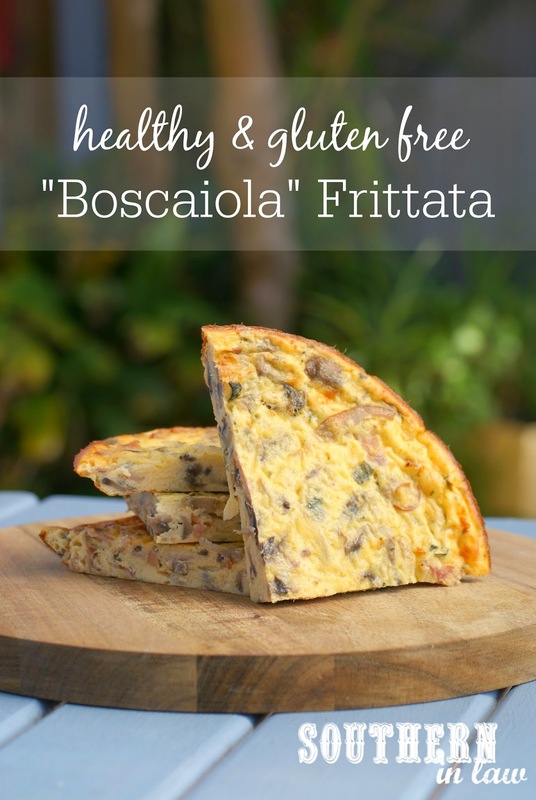 Ham, Cheese and Mushroom Frittata aka "Boscaiola Frittata"
Preheat your oven to 180C/355F. Grease and/or line a medium cake tin/pie dish or mini muffin tins and set aside. In a medium frypan, sautee your mushrooms with your herbs, garlic and ham until your mushrooms are cooked and your ham has started to brown, season to taste with salt and pepper. Set aside your cooked filling mix whilst you make your frittata base. To make the base, simply combine your eggs, greek yogurt and parmesan and add in your cooked filling mix. Pour your frittata mixture into your prepared pans and place into the oven. For mini frittatas, you'll want to bake them for 10-20 minutes, removing once golden and cooked through. For a larger frittata, depending on thickness, you'll want to bake it for between 20-40 minutes, removing once golden and cooked through. *You can use reduced fat, fat free or full fat greek yogurt, the choice is yours! But tell me, are you up to your ears in Christmas leftovers too? What's your favourite way to use up what's in the fridge? I love scrambled eggs with cheese and loads of spring onions, then sprinkled with salt and ground black pepper and smeared with a touch of butter. So so yummy and filling! I LOVE leftovers because you can mix them all together in a frypan and just our beaten eggs over it; then roast it gently and make a big omelet out of it. I love making a cheap and cheerful definitely time hacked Chinese Meal for my young but huge family. It's kinda like going to a bogan restaruant, like a pub in the 1980s! First I buy a whole lot of frozen Yum Cha for starters with some sweet chilli sauce and tomato sauce for dipping, and a jar of supermarket sweet and sour sauce and add in any cheap meat I can find, make a cheap veggie curry, some left over rice with soy sauce and some frozen veggies makes a Fried Rice- not forgetting some fried eggs all chopped up, and for my finest a Chinese Egg Omlette made with at least 8 eggs to make it all go that much further and make it EGGSCELLENT! There are bowls going everywhere, heaps of laughter and so much mess but it's the best meal going! You can't 'beat' Egg's Benedict on a Sunday morning with poached eggs over smoked ham and baby spinach on a hot buttered wholemeal muffin, and drizzled with home made hollandaise sauce! I love egg salad- boiled eggs, mayo and shallots. It is a family favourite! Chorizo, parmesan and herb omelette is a sure way to wake everyone up on the morning. I love making fluffy french toast for breakfast, Simple and so delicious! Fried Eggs and Bacon are a family favourite. We have chickens, and when I have an abundance of eggs I find that vege quiches are a great way to use them up. Add 5 whisked eggs to 1/2 cup milk, pour over chopped left over roast veges, and bake for 40 minutes! Like and commented on FB! 'Frittata' is my saviour. Simple, popular and cheap. I use up extra vegetables, excess eggs and left overs and it always works!. Scrambled eggs! -easy to prepare and so nutritious! ~Add orange juice, instead of milk! -Even more delicious! Just love a free style omelette for dinner what's ever is left over in the fridge goes in always a hit with the kids. With military husband serving overseas I like a soft boiled egg with 'soldiers'. Reminds me that I love nutritious tasty eggs and my delicious tasty man! Loved and shared on Facebook! Facebook liker already also Twitter and Instagram..
clean’ yumminess in our household! eggs baked in homegrown tomatoes! 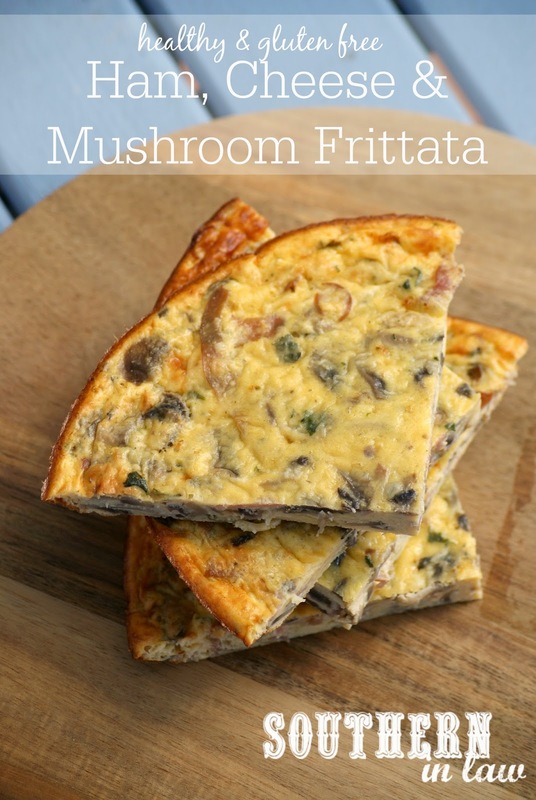 A frittata is so versatile to eat for any meal. It's very delicious, healthy and nutritious with lots of sweet potato and seasonal vegetables! If you have lovely free-range eggs in your fridge, you've always got a quick, healthy and nutritious meal in minutes: French Toast is divine any time of the day. I'm no eggspert at cooking...but my fave way to make an eggscellent meal is to crack open some eggs and crack open some wine! I eggerly add just about anything to scrambled eggs to create a new, eggciting and eggonomical dinner delight! Coming up with a meal to feed 6 that doesn't crack my budget, is always EGGSCELLENT! Hi! I'm following you on Twitter and Instagram and have visited/commented on your FB page! Thanks for the great competition!XOX. I like the simple things in life. A pinch of Chilli make my eggs eggscellent! Love poached eggs on vegemite toast with avocado slices for an eggscellent low GI meal! Is my mum’s Zucchini Slice. It’s so healthy, yummy and nice! And not a scrap is left to be found! For a quick and tasty breakfast cut a large avacado in half and remove the seed.In the hollow of each avacado half crack an egg (you may have to make the hollow a little larger) and bake in a moderate oven until the egg is cooked . For variety add shredded bacon before cooking or a little salsa for a more spicy flavour. Eggs don't just make a eggscellent everyday meal they can also make an impressive entertaining dish. For me its all about putting the devil in the detail serving appetisers of feta and sun-dried tomato devilled eggs. My family love our omelettes and most week we fire up the pan and the omelette bar and we create our own tasty treats filled with our favourite fillings. Healthy, great and delicious. Ham and cheese omelette - filling and nutritious! Nothing is better for any meal of the day then bacon and eggs. As far as I am concerned the most eggselent dinner is scrambled eggs, lashings of cream and smoked salmon. Simple, easy and fabulously tasty. Good me loves scrambled eggs with mushrooms and onion on sourdough bread ...naughty me loves Scotch Eggs... mmm...wicked fried deliciousness! A slice or a wedge. Eggs Benedict, it's my luxury treat I can't resist, it's always on my bucket list. My chocolate mousse cake would make any vegan crack. With its meringue base and fluffy filling, you'll be egging on back. It's the ova-eggdulgance for any egg-loving foodie. But if you take the last piece, you'll see this hen go broody. I love to fry my eggs for my family because we all need to start the day sunny side up! I love mixing eggs and bananas to make healthy and delicious pancakes for breakfast! It's always a favourite for breakfast! Herbs and spice,a meal to entice.